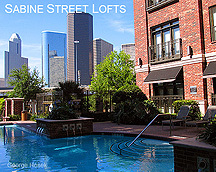 POST RICE LOFTS...Luxury Loft Living in the Heart of Downtown Houston. 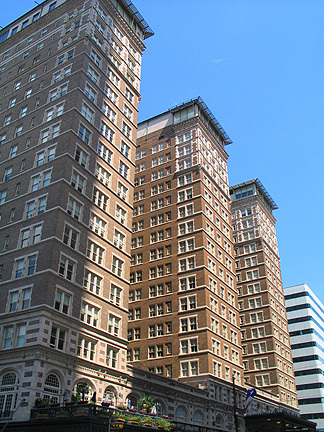 The renovated historic Rice Hotel offers a glamorous and prestigious urban address. Welcome to George Hosek Apartment Locator Service, a stunning visual and informative guide to Apartment, loft, and High Rise living in Houston and the surrounding area. Post Apartment Homes present luxury loft living at its finest at the Post Rice Lofts, located in bustling downtown Houston. 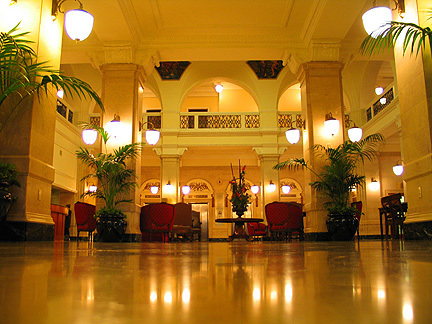 The renovated historic Rice Hotel offers a glamorous and prestigious urban address. Stroll through the magnificent lobby with stained glass skylight or peruse the lavish and restored Crystal Ballroom. 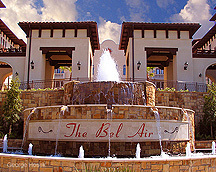 Ground-level retail offers residents a wide variety of services in a convenient setting. And just minutes away are the Theater District, Bayou Place and Enron Field. Residents may choose from one, two and three bedroom loft apartments, featuring 100-year-old maple hardwood floors, 10' to 18' ceilings and Italian marble bathrooms with ball & claw tubs.